This winter has been unpredictable with unusually warm weather one day and biting cold the next. During one of those particularly cold periods in January, I took advantage of the solid ice to work on removing woody invasive plants from one of our isolated wetlands in the McDonald Woods. 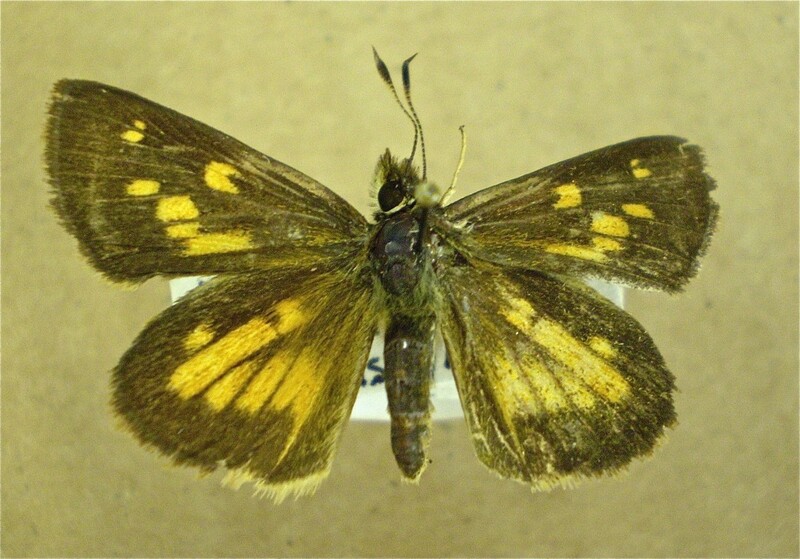 We have several such wetlands, but this one is perhaps more interesting than the others, in that it is home to a population of broad-winged skippers (Poanes viator)—an uncommon butterfly that has only been found on six or fewer sites being monitored for butterflies in the Chicago region. This small brown butterfly is dependent on lake sedge (Carex lacustris) as a larval food plant on our site. It has been found to feed on some other sedge and grass species elsewhere, but here, that is the only plant that its larvae feed on. In the 26 years I have been managing the 100 acres of the McDonald Woods, this small quarter-acre wetland is the only spot this butterfly can be found. Although there are many patches of lake sedge found throughout the woodland, apparently this butterfly will not leave this small and sunny wetland to venture into the surrounding shade of the oak canopy to take advantage of the other sedge patches. As I was working among the dormant lake sedge stems—solidly anchored in the thick ice of the wetland—I decided to do a little investigating to see if I could find any clues to the whereabouts of this butterfly in winter. Some butterfly experts think this skipper overwinters as a developing larva, then later pupating before emerging as an adult in early July. 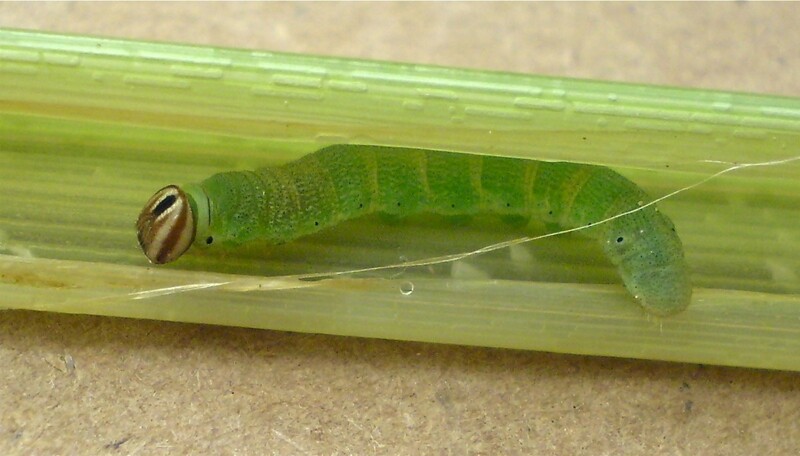 However, it seems as though no one is quite sure where exactly the developing larvae would be found. As I was working in the wetland, I occasionally plucked a dried-up stem of lake sedge and peeled the leaves back, much as you would peel a banana. Although I did not find a broad-winged skipper larva, I did find the larva of a noctuid moth, what appears to be the larva of a Dion skipper (Euphyes dion), some various fly larvae, a couple tiny adult flies, hundreds of sac spiders (Clubiona maritima), some Linyphiid spiders, Gnaphosid spiders, and a few other spider genera. Although I am well aware that many invertebrates spend their dormant periods hidden away in stems, leaves, and roots of plants, I was amazed to see how much life was present in the dried stems above a solid block of ice. This revelation got me thinking about my management activities, and in particular, the use of controlled burning. Much like prairies, oak woodlands are dependent on fire to prevent fire-intolerant woody plants from moving in and creating too much shade for the “sun loving” oak trees to reproduce themselves. Prairies and oak woodlands evolved primarily as a result of climate, and in particular, rainfall. As you travel eastward from the Rocky Mountains, you first encounter short grass prairie where the rainfall is lowest, then mixed-grass prairie where it is a little wetter, then tall grass prairie where it is still wetter, then oak woodlands and eventually, eastern deciduous forest, dominated primarily by fire-intolerant tree species (like maple and beech), where the rainfall is most abundant. These prairies and oak woodlands provided a readily burnable fuel for any fire that got started, whether as a result of intentionally set fires by Native Americans or random lightning strikes. It is not hard to picture the description of early settlers when they wrote about fires that burned for days and covered hundreds of thousands of acres. As the prairie fire approached oak woodlands, they did not go out but continued to burn through the flammable leaf litter and dry herbaceous plants covering the ground of these woodlands. But historically, these were huge landscapes. Today we are dealing primarily with tiny fragments of the plant communities that once covered thousands—if not millions—of acres. Because the landscape has changed and these remnants are now so small, they no longer experience the landscape-scale fires in which some areas burned while others did not. Back then, when habitats were huge and animal populations were large and widespread, these fires helped to maintain rich and diverse habitats and animal populations for thousands of years. It is always impressive, even after a single fire, to see the abundance of native seedlings emerge from the burned understory and later, the increased flowering of mature plants. But we don’t always consider the unseen other life forms hidden among the dried leaves and stems. Therefore, as managers, it is important that we utilize fire in a thoughtful way to try to restore and maintain all the richness in what remain of these once extensive natural systems. 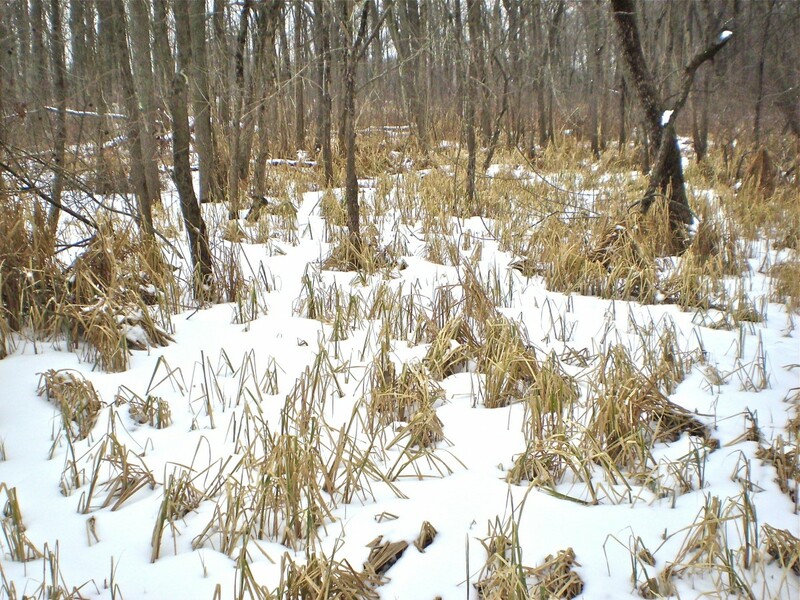 Getting back to my experience in the winter wetland, there is a tremendous amount of invertebrate life that is present in the dry and burnable plant material in these dormant plant communities. 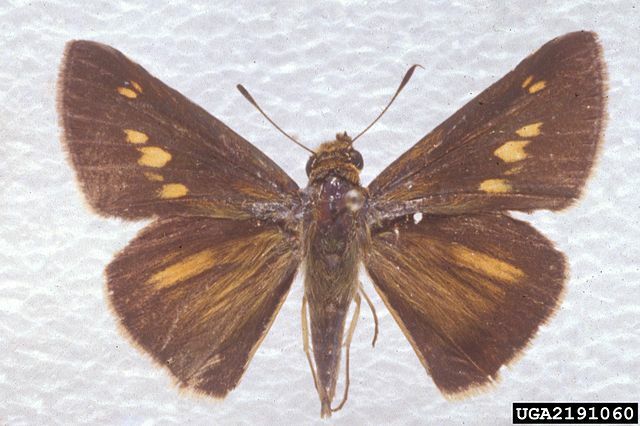 This is particularly important when the entire population of a single species, like the broad-winged skipper, is found in such a restricted space. Plants and animals found in prairies and oak woodlands have evolved adaptations to periodic fires. Research has shown that most invertebrates are able to rebound after fire, but as managers, it is important that we make an effort to give these species the best opportunity to flourish on our small remnants. We can best do this by scheduling our burns—not burning the entire patch of any one particular habitat at any one time, especially during extreme weather conditions. And we should always try to leave some remnant vegetation unburned so that populations can regenerate themselves from those individuals that remain. Fire is an extremely important management tool for restoring and maintaining these natural communities, but it must be used wisely. Photos @ Jim Steffen except where noted. The Conservation and Land Management Program (CLM) is in its 10th year in 2011. Each year, the Chicago Botanic Garden places 75-90 interns with Federal biologists working primarily in twelve western states including Alaska, Arizona, Colorado, Idaho, Montana, Nevada, New Mexico, Oregon, Utah, Washington, and Wyoming. Interns work on botany- or wildlife-focused projects for five months. Most of the time is spent doing field work and gaining hands-on experience working for a federal agency. Applications for the 2011 program are now being accepted. Visit www.clminternship.org to apply.